Blog Stop – Jean Rabe’s The Dead of Night Blog Tour!!! 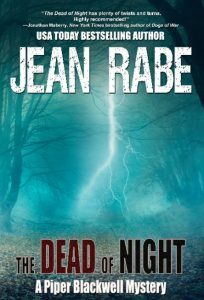 This week, I’m happy to be hosting a stop on Jean Rabe’s “The Dead of Night” Blog tour. Jean has been kind enough to stop by with an excerpt from The Dead of Night and she was patient enough to field some questions from me. And, if that wasn’t cool enough, make sure you scroll all the way down to the bottom for a chance at an awesome giveaway! Me: What did you enjoy the most about writing The Dead of Night? JR: I think the research. Because I put Piper Blackwell on a cold case, I talked to coroners, an archaeologist, read up on bones and decay, and dug through statistics on missing persons. Fascinating stuff. I couldn’t put all of that in the book; I would inundate my readers. So I sprinkled it in with characters such as Doc Natty. Too, I looked through old newspapers to see what was going on in the world at the time my victim died. Writing a book is a great excuse to research all manner of things. Me: Every writer comes out of a book different than from when they went in. What did you learn, or how did you grow as a writer as you wrote The Dead of Night? JR: I gained a great appreciation for the company of old men. I based the Mark the Shark character on three Navy veterans who live at a senior apartment complex in Quincy, Illinois; the youngest of them 89. The men are fascinating and complex, and I was engrossed in their stories about military life. One of those veterans is an avid mystery reader, and we had long chats about favorite authors and characters…we agreed on Harry Bosch and Elvis Cole. I learned that in writing older characters, you should give them depth, add some complexities, and not make them window dressing for your younger protagonists. You should write them so that even a young reader can somehow identify with them. I think Mark the Shark is awesome, and I hope the readers like him. Me: Background music or silence? JR: Both. When I write on my laptop on the back porch, I often leave the radio off. There are lots of birds and dogs in the neighborhood, and they serenade me. Too, a railroad track cuts through a cornfield behind my house. It’s a busy track, and so it adds to the “music” of my outdoors office. When I write in my office inside the house, I listen to classical music. One of my best friends gifted me with an Echo…Alexa…and she finds AWESOME classical stations. All I have to do is ask her. For fight scenes, I request Rimsky-Korsakov or Mussorgsky, or even Balakirev. Yes, I favor Russian composers. Me: What would be your suggestion for a beverage to accompany reading The Dead of Night? JR: Coffee because Piper and Oren drink a lot of it. They favor Dark Italian Roast, a blend they discovered because one of my newsletter readers suggested it. Nang carries it in his quick stop so they have a ready supply. Me? I’m not a coffee drinker. I like tea…cinnamon spice, Irish breakfast, or PG Tips. Sometimes I give Starbucks gift cards away to random readers of my newsletter. Me: If you could give one piece of advice to a beginning writer, what would it be? JR: There are three magic words: Today is Someday. Many aspiring writers say they’ll get around to working on their novel someday. I learned early on that novel writing is a long game. It can take years…from outlining the book to writing it, to submitting it to agents (where it could sit for months), to an agent accepting the manuscript and submitting it to publishers (where it could sit for months), to when it gets purchased and scheduled for the New York publisher’s calendar (which could take a year or two). Small press is a different matter…you can get a book published much quicker. Anyway, it all is predicated on the assumption your manuscript gets accepted at each stage. It could also get tossed back at you as simply rejected, or if you were lucky they merely asked for rewrites…which adds more months to the endeavor. Mike Resnick, Joe Haldeman, George R.R. Martin, Timothy Zahn, Mike Stackpole, and more taught me that writing was a long game…a matter of years. And so quite a long while ago I made today my someday. I figured that since writing was indeed a long game, and that it could take a long while to go from page one of my book to seeing it on a bookstore shelf, I had better get at it. The Dead of Night is my thirty-eighth published novel, and it releases September 15th. My thirty-ninth is finished, and I’ll start submitting it soon. So my advice to a beginning writer: Do Not Wait. Write Now. MAKE TODAY YOUR SOMEDAY. Me: You mention that you can put together a fine pot of chili. Can you share the recipe, or would you have to kill me afterwards? JR: Ahhhhhhhhhhhh….I won the TSR chili cook-off one fall. Quite the accomplishment, as I was a bad cook. Now I’m a passable cook. I can’t share that winning recipe, ‘cause I don’t know where it is. Well…it’s in one of my cookbooks, but I couldn’t tell you which one. When I decided I wanted to enter, to smash my reputation as a bad cook, I took out a book, selected a couple of recipes, and combined them. I couldn’t decide which one to make, and so I made all of them in one pot. And I did not taste it. Really, never had a spoonful. I was afraid it would be awful and then I couldn’t take it to work. All my efforts would go in the garbage. BUT…if I didn’t know it was awful, I could take it, professing ignorance. Gee, I was surprised when I won. HAPPY HAPPY JEAN.Now I buy French’s Chili-O packets and follow the directions on the back. It makes good chili. Thanks so much for taking the time to answer my questions, Jean. Now, on to the excerpt!! Old, sure, older than Oren by more than ten years according to her grandson. But she was stunning. Nothing wrong with applying that word to someone elderly, he thought, especially when the word fit so well. Stunning shouldn’t be a word relegated to the young. Her hair was a pale gray that shimmered like spun silver, short and swept around her head in lazy curls. She wore makeup, but not a lot, and likely had tinted contacts because her eyes were a vivid shade of blue that matched her sapphire drop earrings. Certainly she had wrinkles, but they were tiny, at the edges of her eyes and her lips, insignificant lines on her forehead. She wore navy pants with a slight crease down the front, a black blazer, and an off-white blouse with pearl buttons. She stood with shoulders square, no rounding to her back like a lot of old women exhibited. He picked up a hint of lilacs, probably her perfume. “I’m not here about a shoplifter, though I hope the local department catches the thief. I’m Oren Rosenberg, chief deputy with the Spencer County Sheriff’s Department. He followed her to the counter; she stepped behind it and sat, rested her elbows on it and looked up at him. Oren recalled that on one Saturday library jaunt, his wife pointed to the cover of a fashion magazine—she always liked to ogle them, but never subscribed to any. Carmen Dell’Orefice’s face stared back, an eighty-four-year-old glamorous runway model. He thought Virginia Huffman could give her that proverbial run for the money. As Sheriff Piper Blackwell rushes to a clandestine meeting with an aging, paranoid veteran who believes spies are trailing his every move, she is caught in a fierce thunderstorm. Pounding rain drums against the bluff, washing away the earth and revealing a grisly secret someone tried to bury a long time ago. Putting a name to the skeleton on the bluff, and searching for the thief who robbed the old veteran of his life’s earnings, sends Piper delving into the sleepy towns that dot her rural county. Now she’s digging into pasts perhaps best left alone. Accompanied by Chief Deputy Oren Rosenberg, Piper seeks to expose a truth someone wants to remain forever hidden. The investigation may have started with a thunderstorm, but Piper aims to finish it and find justice. Uncovering fragments of Spencer County’s history could prove more dangerous—and deadlier—than she ever expected. Jean Rabe always manages to surprise and never fails to deliver the goods! The Dead of Night…Highly recommended! 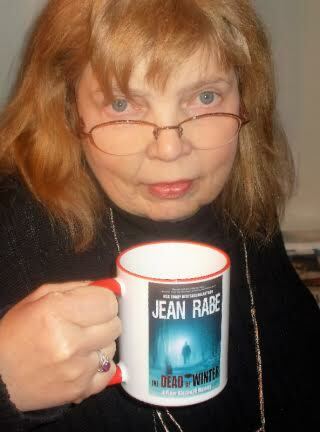 Jean Rabe writes the perfect mystery! I was kept guessing about everything to the very last word. The girl can write! In The Dead of Night …a thoroughly satisfying and complex novel with deeply realized characters and beautifully vivid writing. USA Today bestselling author Jean Rabe has written thirty-seven mystery, fantasy, and adventure novels and one hundred short stories. The Dead of Night is the second in her Piper Blackwell mystery series. 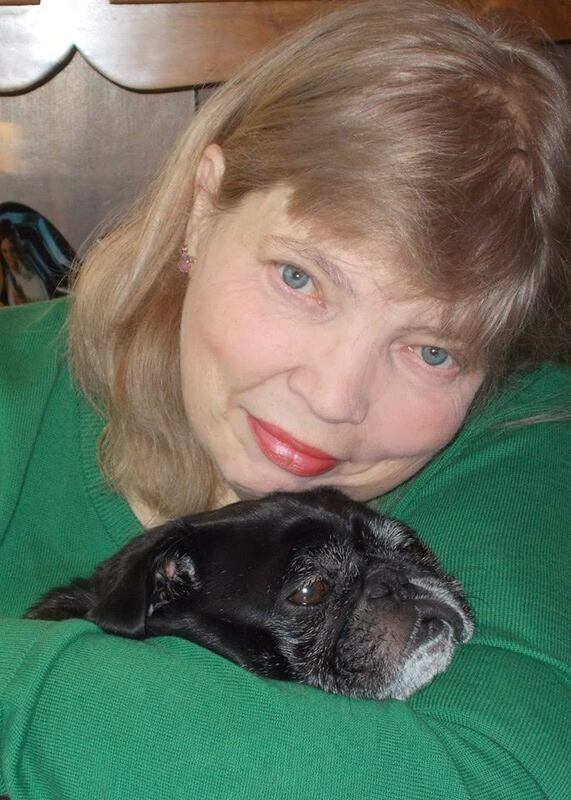 She calls them uncozy-cozies, or cozy police procedurals…of which she’s been told there is “no-such genre.” When she’s not writing, which isn’t often, she edits . . . more than two dozen anthologies and more than one hundred magazine issues so far. She’s a former news reporter and news bureau chief who penned a true crime book with noted attorney F. Lee Bailey. 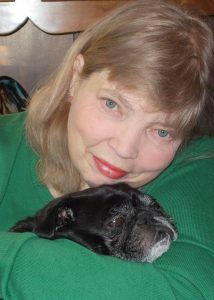 Her genre writing includes military, science-fiction, fantasy, urban fantasy, mystery, horror, and modern-day adventure. She shares her home with three dogs and a parrot. Rabe teaches genre writing courses—at conventions, libraries, museums, and other interesting venues. Her hobbies include reading, role-playing games, visiting museums, tossing tennis balls to her cadre of dogs, and buying books to add to her growing stacks. She lives in central Illinois near three train tracks that provide “music” to type by. There’s a tour-wide giveaway for Cracker Barrel and Starbuck’s gift cards or a little password book. In addition, two lucky bloggers will be chosen at random to win a Starbucks or Cracker Barrel Giftcard. Open to US residents only. This entry was posted in Blog Tours and tagged Blog Tours. Bookmark the permalink. 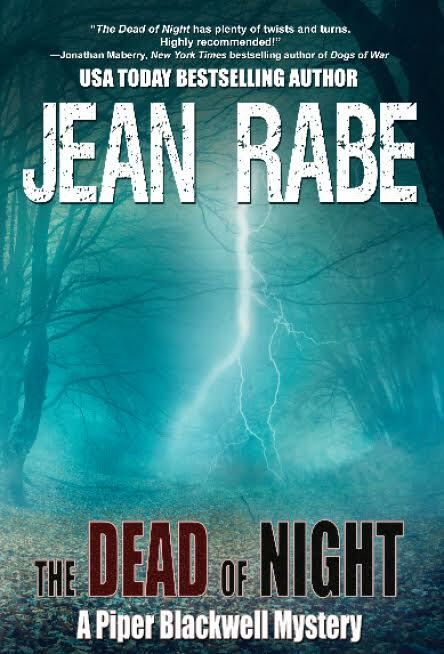 2 Responses to Blog Stop – Jean Rabe’s The Dead of Night Blog Tour!!! Great excerpt! Can’t wait to read!